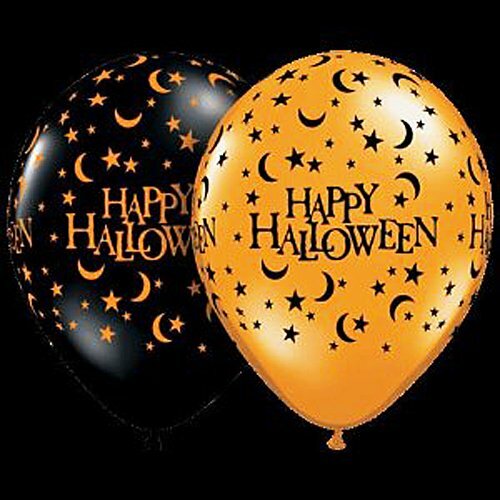 Raise the bar on your Halloween decorations using these awesome assorted orange and black "Happy Halloween" latex balloons. These balloons feature quarter moons and stars and all say Happy Halloween. A must have for any Halloween parties or decor.